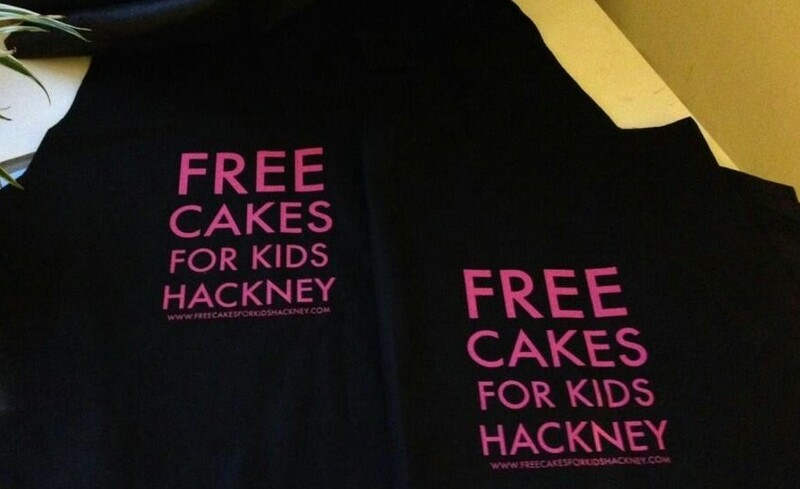 We like to think of ourselves as trendsetters here at FCFK Hackney. Back in the summer we blew all other bags out of the water with our totally fantastic tote bag, which sported our logo in hot, hot pink. Even Richard Arnold wanted to wear one on his arm! But we didn’t want to stop there, oh no! So we came up with what all self-respecting bakers want to dress themselves in – a super stylish pinny of course! We’re fortunate enough to have a tailor on our committee (hi Laura!). She very kindly has given up her time to create 20 bespoke, hand crafted, limited edition aprons for us (thank you Laura!). Needless to say, we are ridiculously excited and can’t wait to try one on for size. Can you?! There are only 20 which means people are probably going to have to fight for these bad boys! (We’re already sharpening our elbows!) But because we love our bakers so much, they get first refusal to buy one and that first purchasing opportunity is going to happen at our Christmas social. Can you wait that long?! Oooo ooo, we can’t! Report back here at the end of the month for a photo of our committee in their pinnies, but first a couple of whoop, whoop, hands in the air, shout outs to two companies who made the aprons possible: Bernstein and Banleys Ltd who kindly donated the cloth and Print Club London in Dalston who were superstars and printed our logo on the cloth for free. Thank you guys; we mean it when we say these aprons would not have come to fruition without your generosity. And a big kiss to Laura too. If you need a tailor, you know who to call!